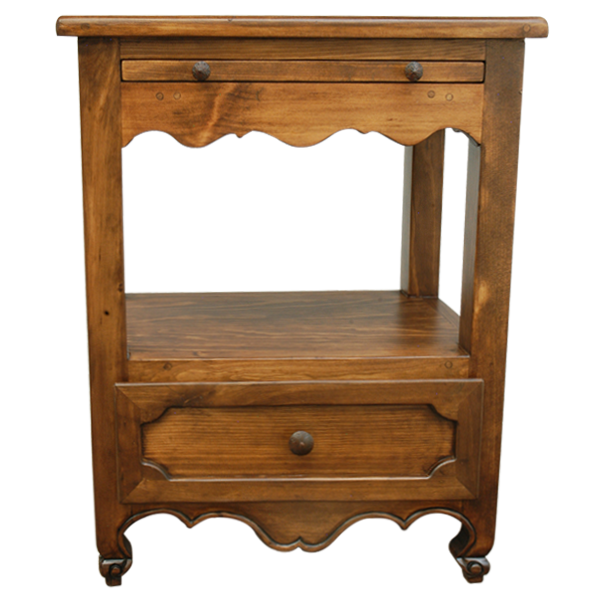 This gorgeous, Western style, handcrafted end table is perfect for the bedroom, living room, or kitchen. 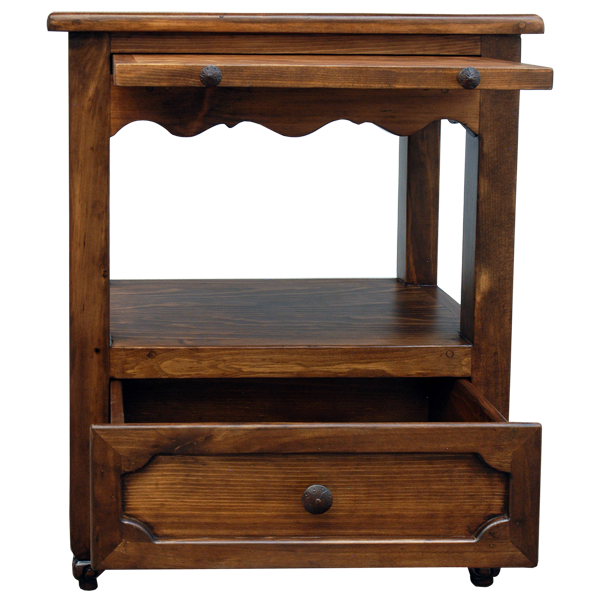 With its retractable tray, top, and base shelf, this end table is full of storage space. The open, rectangular top is finished in light stain that enhances the wood grain of the table. Below the top of the end table is a retractable tray that can be used as an extra work area. Located under the base shelf is a rectangular drawer that is adorned with a geometrical, cut design, with a hand forged, pull handle in its center. 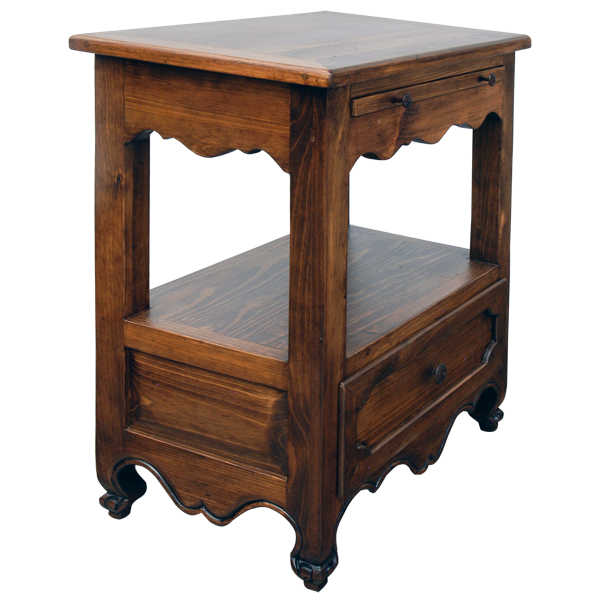 The base of the end table is adorned with lovely, curved designs, and it is supported by sturdy, caster feet for mobility. Made with the best, sustainable, solid wood available, it is 100% customizable.